Exclusive to Euronics and Agent stores, this freestanding washing machine from Beko can handle up to 8kg of laundry per cycle. The WTG821B2W’s slim design makes it an easy fit for most kitchens or utility rooms, with a clean white finish to suit any home. At just 54cm deep, this model is ideal for kitchens with shallower units or plumbing behind. 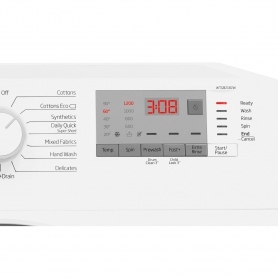 A range of 15 programmes on the WTG821B2W give you the settings you need to take care of all of your fabrics. Get through laundry fast with the Daily Quick Programme – wash up to 8 kg of clothes in 39 minutes or under. This is a great time saver for day to day use, and perfect for larger families with a lot of laundry. The WTG821B2W also features Automatic Water Level Reduction. This function uses less water for half or smaller loads, for a more efficient wash – saving you money on your utility bills. 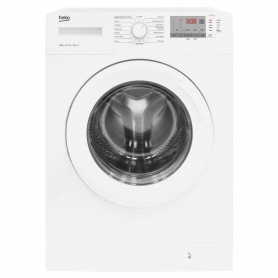 The LED display gives at-a-glance feedback on your laundry settings and wash times. Spin speed and temperature selection can also be checked. Take the mystery out of your washing with this useful display panel. A child safety lock prevents any little hands from changing your washing programme by locking the buttons, leaving your clothes to wash in the confidence that they won’t be tampered with. An A+++ energy efficiency rating helps to conserve power on the WTG821B2W and reduce running costs. 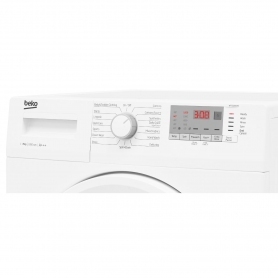 Get more out of your washing machine and use less power with this clever Beko appliance. Energy efficient, Beko’s WTG821B2W features a range of programmes for daily use and helps to keep utility costs down. Order yours today. 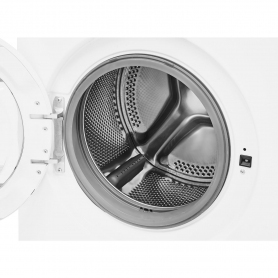 The Daily Quick programme washes a full load in 28 minutes, ideal for when you're in a hurry. 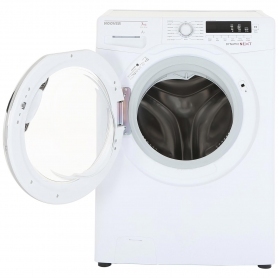 Together with the variety of programmes and child lock, this is the perfect washing machine for young families.